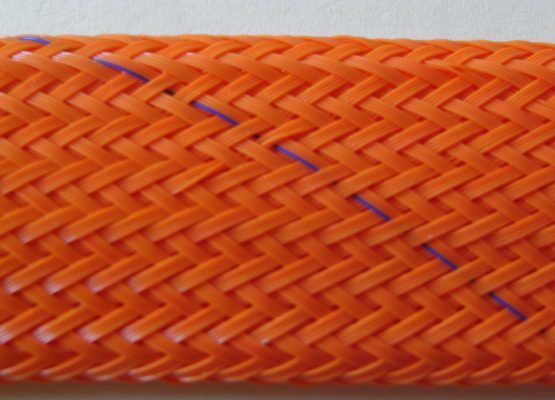 MEGA500 is an expandable Megamide braided sleeve valued for its resistance to high temperatures. It has a constant working temperature of -40°C to + 170°C, withstands short-term peaks of 230°C and a melting point of 260°C. 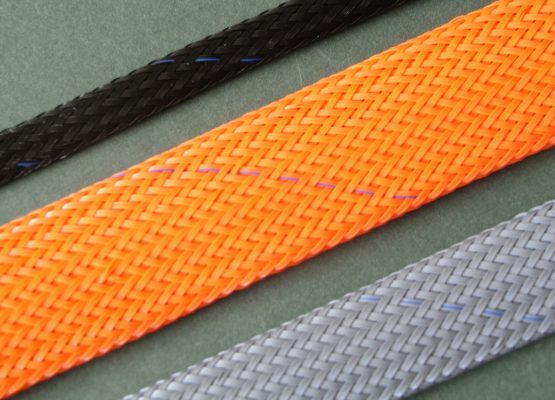 It is available in black and grey in sizes up to 70mm supplied diameter as standard. It can be cut as required. 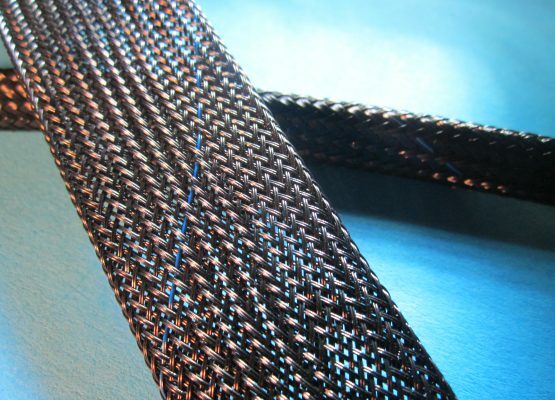 This braided jacket is ideal for rigorous mechanical applications where resistance to heat and self-extinguishing characteristics are also a consideration. Exposure of Megamide to a naked flame under test conditions shows that it conforms to current aeronautic standards for electric cables. It is often used in scientific, electronic, electrical and telephonic equipment as well as in television, aviation and marine industries. MEGA500 is available in several colours as well as the standard grey and black. 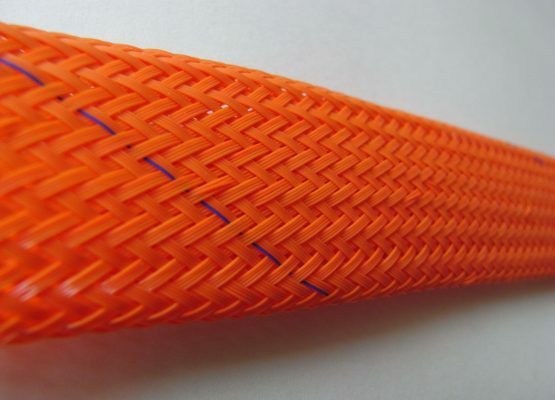 This particular 0.25mm monofilament grade is especially recommended for aviation cable and for electrical cabinet cabling. Other grades of Megamide are also available on enquiry.